Kenichi’s work sits between two artistic styles, figurative and abstract. Like the line at the edge of the spotlight, one part is clear as day while the other lays in the shadows. 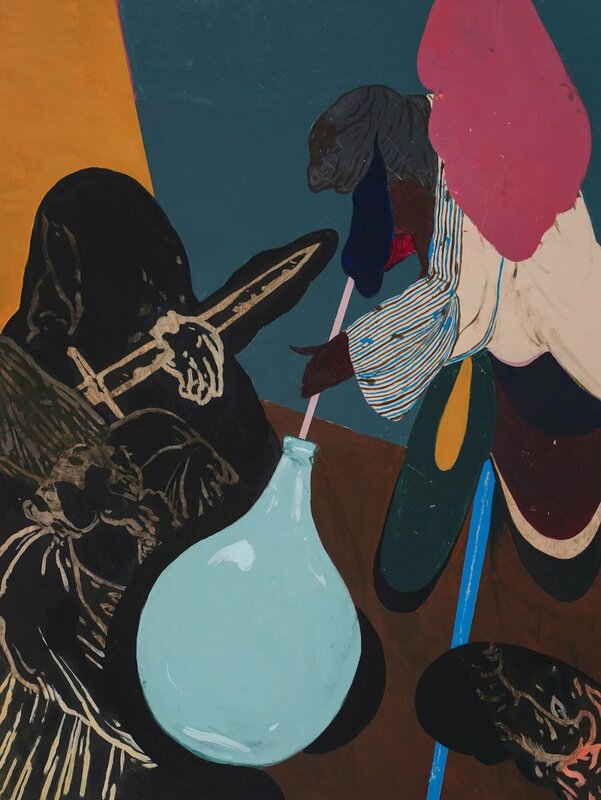 At first it seems like a jostle between abstract shapes and swathes of color but as your eyes settle you notice distinct objects – a coffee pot, a vintage movie projector, a dagger – and lesser defined figures who act out dramas as if on stage.